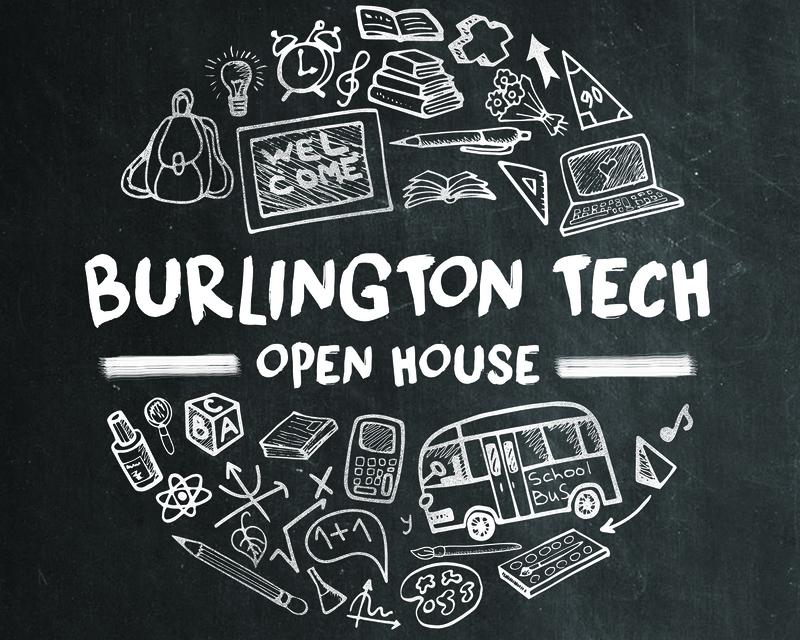 Burlington Technical Center (BTC) is hosting an Open House on Saturday, February 16, from 9:00 am – 12:00 pm. This is a DROP IN event and you are welcome to visit any and all programs of interest. All students and families are welcome to stop by and learn about the wide array of Career and Technical Education available to Chittenden County students. Explore the options of earning college credit while also learning valuable skills. Come and visit the dynamic range of programs and services available for students at the Burlington Technical Center. Two year programs (generally attended by high school juniors and seniors) include Auto Body, Auto Science & Tech, Aviation & Aerospace Technology, Computer Science: Programming, Web Design & Cybersecurity, Criminal Justice, Culinary Arts, Design & Illustration, Digital Media Lab, Human Services, Health Sciences Academy, and Welding & Metal Fabrication. We also have a one-year Foundational Tech program, Design Tech (attended by freshmen and sophomores). We will have representatives from our partners in higher education as well as information available on our support services, student organizations and our work-based learning program offering options in career exploration, job shadowing, and internships. Tours of our airport facility are happening with shuttles leaving BTC at 9:30 and 11 AM. Please register for the shuttles with us at lmcknigh@bsdvt.org. Shuttles are available on a first come first serve basis. Parking for the Open House is available at Burlington High School (BHS) main parking area on 52 Institute Road, and entrance through the BHS main entrance from the parking lot.